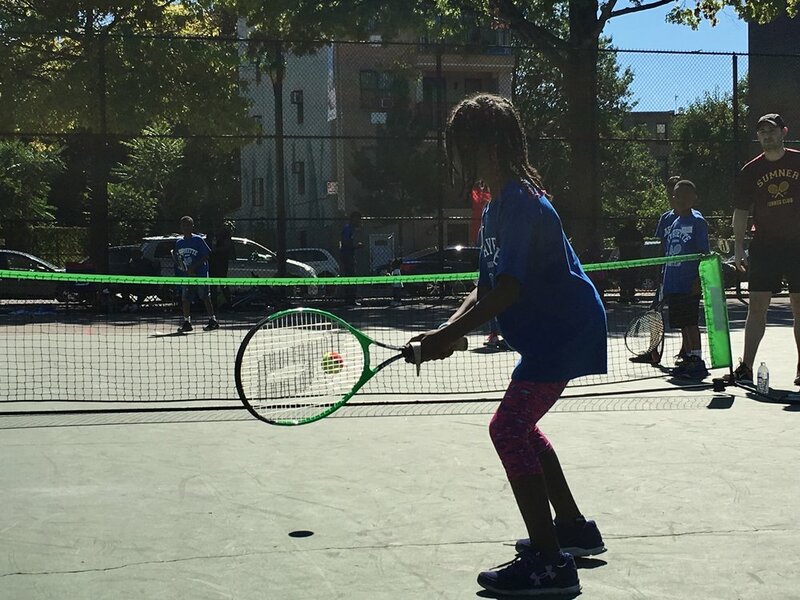 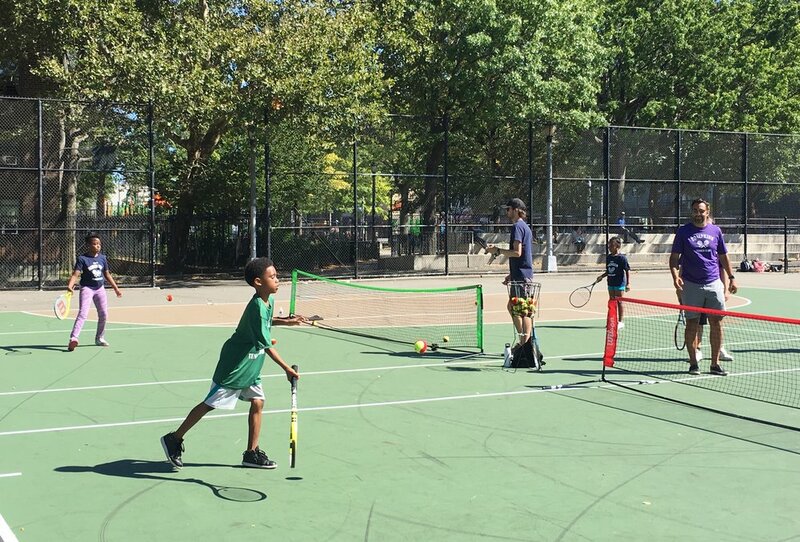 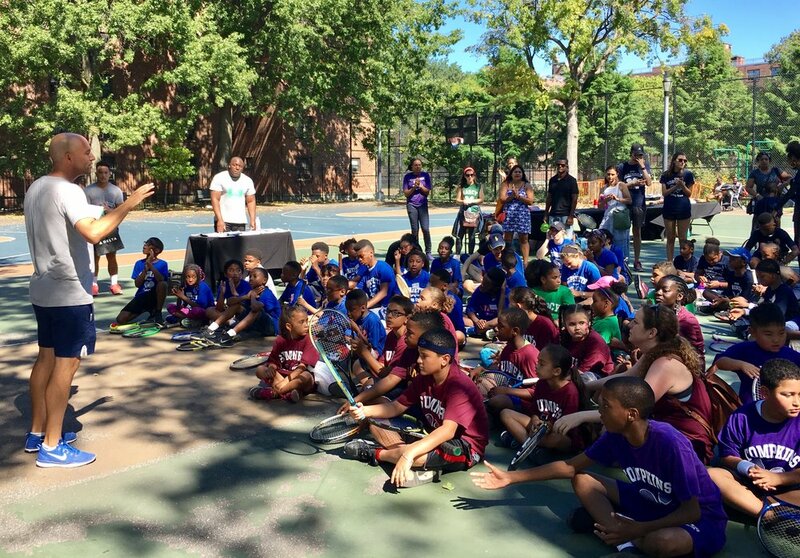 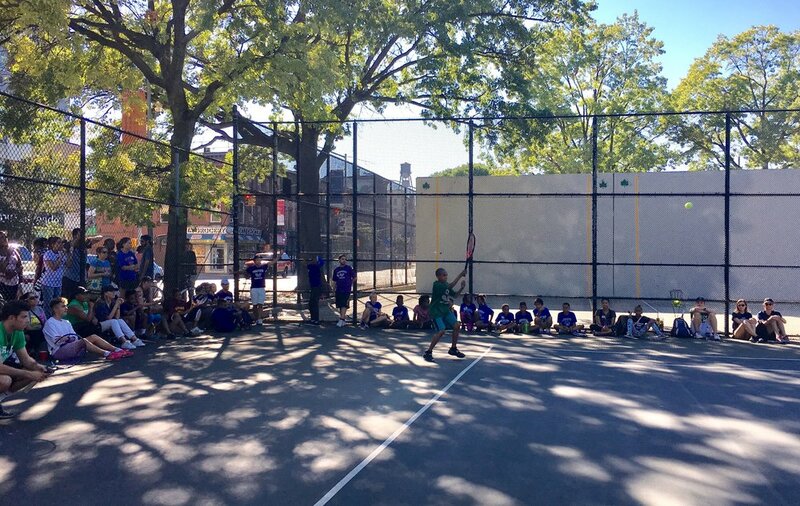 On September 23, the weather around Brooklyn gave kids from around the Bedford-Stuyvesant neighborhood a summer welcome as they trickled into the Marcy playground for the Kings County Tennis League's 8th Annual Youth Tournament & Community Jamboree. 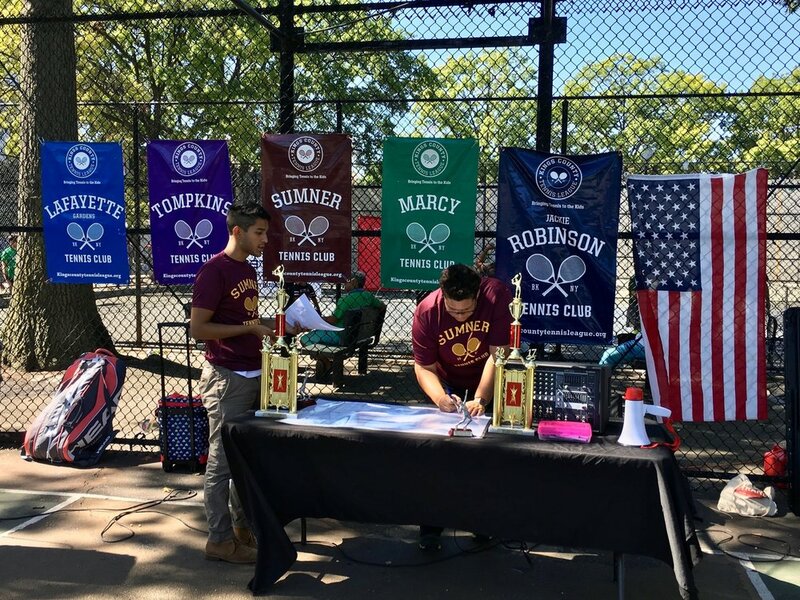 As Michael and Kim prepared the tournament draw -- -- kids set up the courts, drilled and then competed in the single-elimination tournament for the 10-and-under division and a round robin for the 11-and-over group. 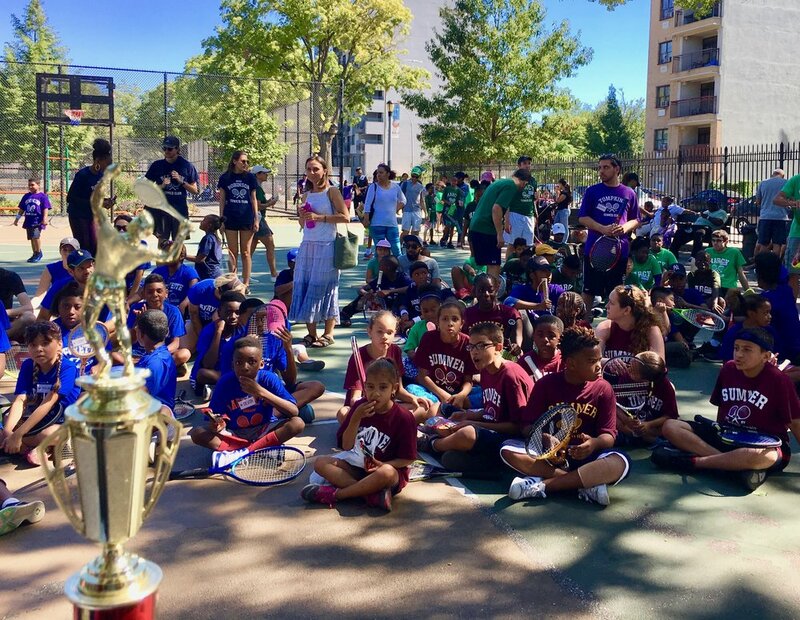 Below is a photo slideshow of the day, including the final rounds and trophy presentation.